The World Economic Forum came to an end in Switzerland’s resort town of Davos. Some international leaders including the U.S. President Donald Trump and the UK Prime Minister Theresa May did not come to Davos this year, nevertheless the summit did not lose its significance. Although the Forum does not aim at having joint declarations signed or formal decisions approved by heads of states, the event gets together most influential world actors annually. On the Forum’s sidelines topical issues are discussed and informal agreements emerge that may later lead to the actual change. Ukraine is in try to attract attention to the country’s burning issues at different platforms. It has been Forum’s participant annually for 15 years now. 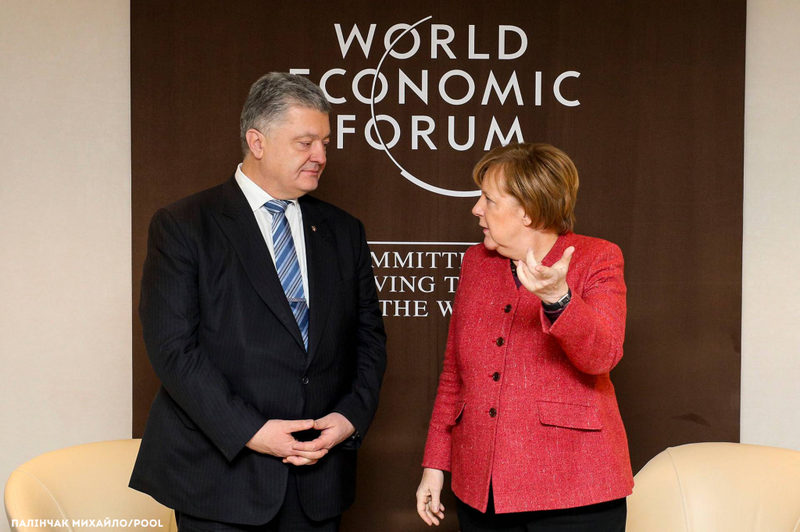 UCMC takes a look at what made Ukraine visible at Davos 2019 as well as at the Ukrainian agenda. The Ukrainian delegation at the Forum was headed by the President Petro Poroshenko. Participants of the Forum’s events included acting Healthcare Minister Ulana Suprun, Finance Minister Oksana Markarova, Deputy Prime Minister of Ukraine for European and Euro-Atlantic Integration Ivanna Klympush-Tsintsadze and Kyiv mayor Vitaliy Klitschko. President Poroshenko had a series of meetings – with the IMF head Christine Lagarde, the German Chancellor Angela Merkel, the UN Secretary General António Guterres, the President of Brazil Jair Bolsonaro and others. 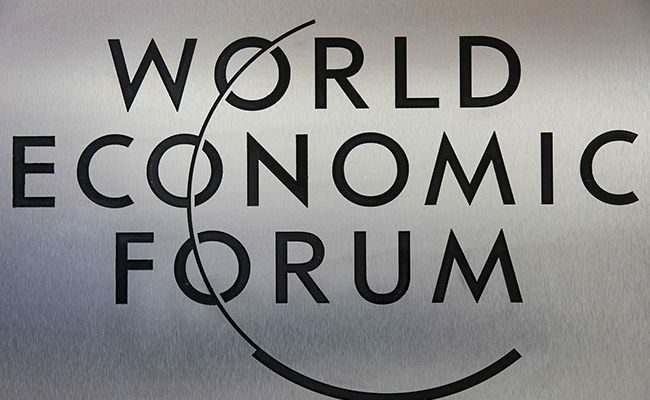 Ukrainian MPs and civil society activists also came to Davos. Among them are MPs Serhiy Leshchenko and Mustafa Nayyem, advisor to the Interior Minister Anton Gerashchenko. Forum’s active participants include Ukrainian human rights defender Larysa Denysenko and co-founder of Crimea SOS NGO Tamila Tasheva. This year the Russian delegation came without the President. Earlier Moscow declared its intention not to attend the Forum as the sanctioned oligarchs were not let in. “Now we have a huge danger of populism. Those who want to understand what it means to declare a fixed price below the market for a certain product for people – this is what Chavez and Maduro did in Caracas, Venezuela,” The President said. Standards of living in this country you can see on TV, the head of the State added. In Davos the leader of the “Batkivshyna” party Yuliya Tymoshenko running for President said that in case she wins at the upcoming presidential elections, she will initiate talks with the IMF. According to her the future possible discussion will touch upon all the issues and the natural gas price in particular. Tymoshenko said that the twofold gas price decrease will be in line with the market price, although it will require some time to set up the gas market itself. Head of the “Civic Position” (Hromadyanska Pozytsia) party Anatoliy Hrytsenko emphasized that to build a new Ukraine it is essential to combat corruption, create law enforcement that will not interfere into economic activities, ensure conditions for just competition as well as prospects for young Ukrainians. Responding to a question on the biggest challenges that Ukraine is facing, he named two: “Corruption is not merely steeling billions in cash, but corruption is killing. It is the hope and the spirit that are killed […] Another issue is the lack of professionals in power. […] I want the authorities to be strong, strong by their vision, level of management, responsibility and morale. 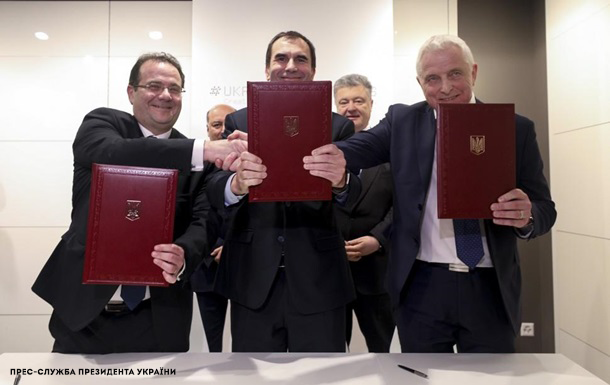 More than that on the sidelines of the World Economic Forum in Davos Ukraine signed an agreement with the Norwegian company NBT, the French Total Eren and the European Bank for Reconstruction and Development for the construction and operation of the wind farm “Syvash” in Kherson region (south of the country). The Norwegian NBT company specializes in wind farm construction and has projects in Norway, Cyprus, China, Singapore and Pakistan. The company plans constructing 67 wind power turbines along the Northern coast of the Syvash lake in Kherson region, featuring the total capacity of up to 250 MW. The wind farm will be located several kilometers away from the Crimean peninsula occupied by Russia. Electric power produced by the wind power turbines along the Syvash lake will cover one third of the Kherson region’s needs. The document package foresees financing worth of EUR 150 million. The overall project value reaches EUR 400 million. EBRD President Suma Chakrabarti said that the fact of NBT and Total Eren coming to Ukraine demonstrates that the country is Europe’s second-largest market. It also acknowledges Ukraine’s openness to business as the country is reforming its energy sector and moving closer to comply with the EU standards. Ukraine House Davos organized a week of panel discussions, cultural events and networking sessions for the world’s business elite. Highlights of the week included appearances by Petro Poroshenko, the President of Ukraine; boxing legends – the Klitschkos; Wyclef Jean, the Grammy Award-winning artist; Boho Beautiful, the global yoga sensation; and Oksana Markarova, Ukraine’s Minister of Finance. At the signing ceremony at Ukraine House Davos, Lenna Koszarny, Founding Partner and CEO Horizon Capital, announced a $200 million private equity fund for Ukraine. “When we first started raising this fund people told us this could not be done. We set a target of $150 million and we exceeded it. Then we reached the maximum of $200 million and we were turning away investors,” she told a packed audience. Ms Koszarny said Horizon’s $200 million Emerging Europe Growth Fund III, L.P. would be invested into export-oriented companies in IT, light manufacturing, food and agro, as well as select domestic champions in e-commerce, healthcare and pharma.